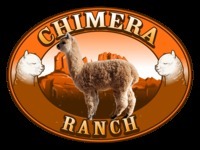 Chimera Ranch had a very enjoyable weekend at the 2011 ABR Fall Festival. Great to see old friends and to make new ones; The quality of the alpacas at these events gets better with every show. The alpaca business is alive and well and the quality is rapidly increasing. A specific highlight was Mile High Carlton Ritz winning Color champion in the Light class; At 38 months old, we were very pleased. Then we learned he also won Color champion in the Light class in the Fleece show. We were then overwhelmed when we learned Mile High Carlton Ritz was also selected by the Judges in the fleece show to have the best crimp.... What a weekend. To say we proud to be owners of this magnicent male is an understatement. Carlton's Co-owners, Sand Creek Criations are also thrilled. Mile High Dorian Gray was awarded Color champion in the Gray class of the fleece show. We are clearly excited to have his breeding career start soon. LBA Atalia was awarded a blue ribbon in her dark fawn fleece class. 2nd place awards were given to Chimera's Heather Mist(grey halter), Chimera's Mystique (multi halter), Mile High Ambrielle (Fleece); SSF Happy Hour (Fleece); Mile High Victoria Secret (Fleece) . 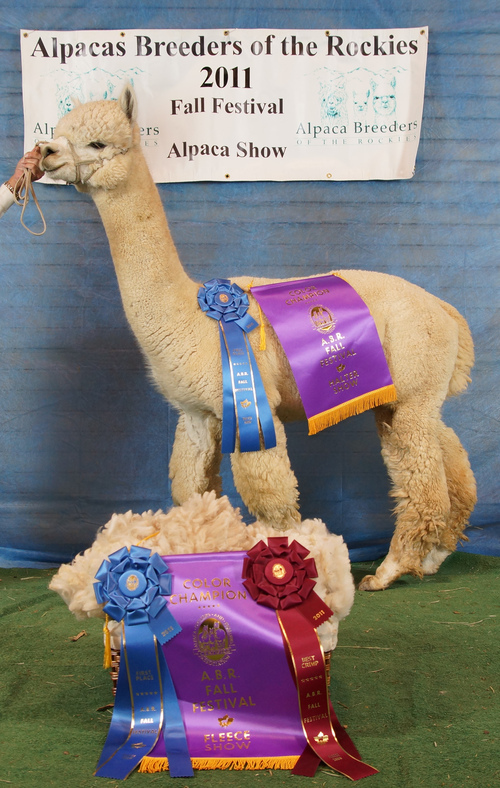 We are proud to be a part of the Alpaca industry as small breeder. Now to prepare for the 2012 show season.